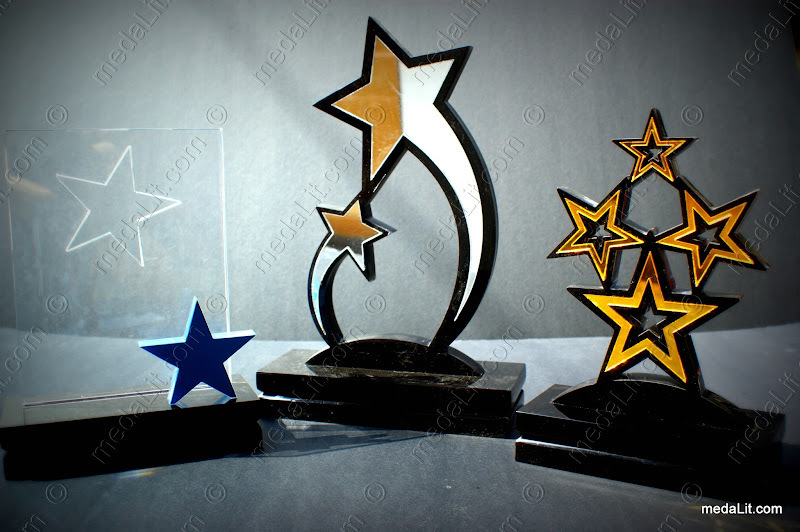 Distinguished by a dominant star figure, Absi Stars Trophies belong to the Strata family of trophies being our top- notch line. Crafted from layers of acrylic sheets and engraved with your own graphics and text to make your selected trophy a unique piece of art. Double decked bevelled base (200x70x36 mm) for all sizes.